Guglielmo Marconi (1874-1937) is widely recognized as the father of radio as we know it. He received a patent for his "wireless telegraph" in 1896 in England. Marconi later discovered that radio waves traveled farther at night as they followed the curvature of the earth. The First Commercial Radio Station was KDKA. Voice was first sent by radio waves in 1906, by American Reginald Fessenden, a disciple of Alexander Graham Bell. The first radio station in America, with the call letters 8XK, began operations in 1919—out of Frank Conrad's garage in Pittsburgh. FM radio made its first appearance in 1939. 85% more adults 18-34 use Radio on a typical day than Facebook. 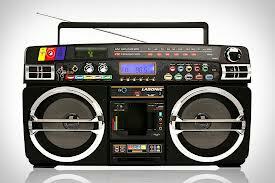 Radio reaches more than 241.3 million Americans each week, more than five million more than in 2010. Radio reaches over 93% of all persons 12+ each week. 94% of Americans report that radio is an important part of their daily lives. Radio consistently reaches 92% to 96% of virtually every demographic group. Consumers aged 12+ spend an average of 17 hours per week with radio. Radio has a higher penetration than television, magazines, newspapers or the Internet. News, News-Talk and Talk collectively are the #1 most listened to formats based on total number of listeners in the U.S.
Nearly 59 million listeners tuned into news/talk/information stations in Fall 2010. More than 14,000 radio stations registered with the FCC in the United States. Euh êtes ѵous cewrtain de ϲe գue vous avancez ?